He lives in a building that could become classified as a disruptive-property. He's got a job, not much money, and a blog where he writes about "the safety net and modern poverty." Who is he? He doesn't say, but he goes by the name "Benefly." To read the complete post, click here. 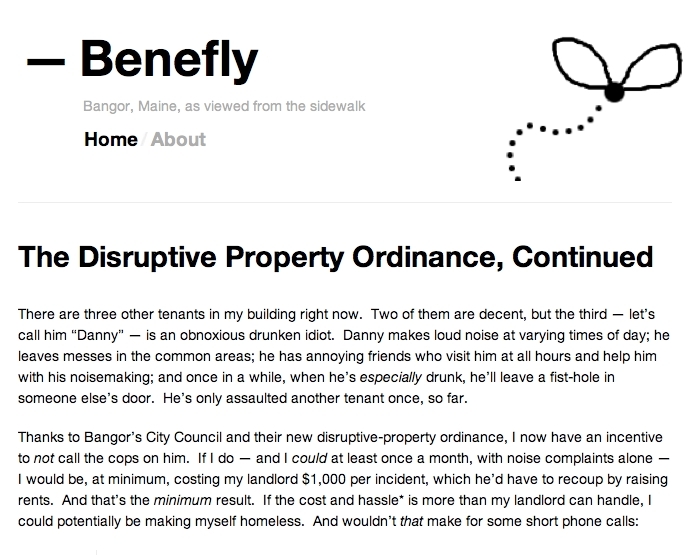 To learn more about Benefly and his experiences living on General Assistance in Bangor, check out his blog.